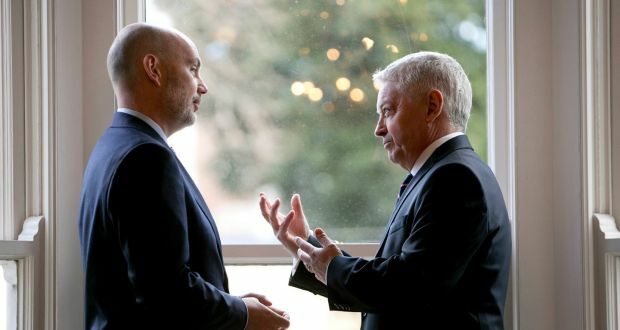 Finance Ireland, the country’s biggest non-bank lender, expects to provide more than €100 million in loans this year to finance commercial property transactions here. The privately-owned company, led by former Permanent TSB chief executive Billy Kane, has revealed that it has financed more than 40 transactions since it entered the market in 2016, involving a combined €65 million in loans. Mr Murnaghan said the Irish company had focused on lending to domestic borrowers at between €1 million and €5 million per transaction. This has been used to fund deals on income-producing assets with SME-sized tenants. This typically involves a small block of apartments, offices, retail or factories. He said 85 per cent of the lending was used to support projects in urban areas (Greater Dublin, Cork, Galway and Limerick) and the balance in provincial centres. Some 30 per cent was in both the residential buy-to-let space and retail, 25 per cent in office and other commercial, and 15 per cent in industrial. Finance Ireland’s typical loan-to-value ratio is 75 per cent, with interest rates ranging from 6.5 to 8.5 per cent. The company is a regulated business, allowing it to lend to individuals as well as companies. Mr Murnaghan launched Finance Ireland’s commercial mortgage division last year having previously held senior roles with both Ulster Bank and AIB. The company employs 10 staff in this area. Finance Ireland was set up in 2002 and employs about 100 staff. Its shareholders include the Ireland Strategic Investment Fund (ISIF) and global investment group Pimco, and it is also involved in auto finance, leasing and agri-finance.